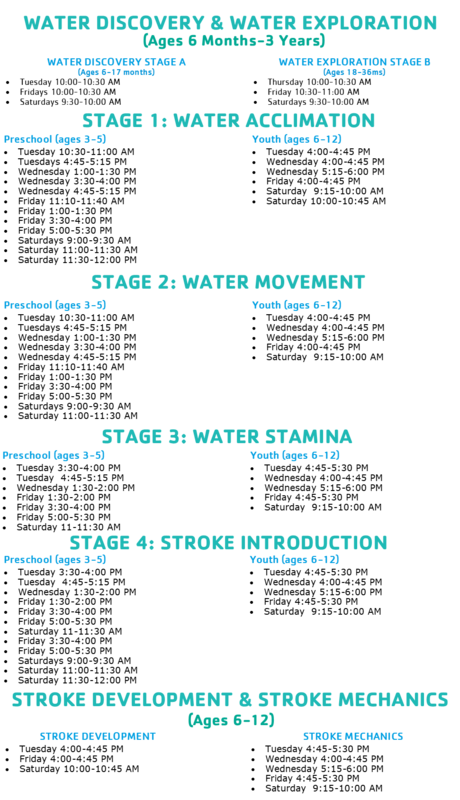 New to our Swim Lesson program? Click HERE to see what stage you and/or your child would be in! There are currently no Swim programs scheduled.